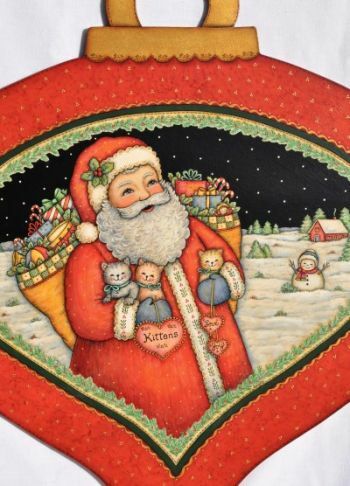 Featuring Santa carrying three little kittens, hearts and a large bag of toys with a snow scene in the background. It is painted on a large red ornament plaque measuring 22" x 19 1/2" with a painted gold hanger and trimmed with gold strokes and dots. 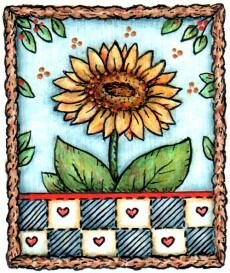 the center design could also be resized and painted on other surfaces. This e-packet contains: Complete directions, three color photos and three full size pattern pages for a total of eight pages.